Greetings from Toy Fair London 2018! Unfortunately, no pictures are allowed of what’s on display. However we do have a man on the inside – our very own ZeoRangerV – and he was able to give us a rundown on what exactly is on display! There are a few new items not yet seen listed below. Keep in mind – this is from Bandai UK and does not necessarily reflect anything for the United States. But this could be a good indication of what’s to come from Bandai America at the upcoming Toy Fair New York 2018. Check out the full list of what’s on display listed below! The Simian Sniper Zord for Power Rangers Super Ninja Steel is a motion activated dart launcher zord. The Legacy 6.5″ Psycho Rangers have an incredible amount of detailing. These are prototypes and the paint does not appear to be metallic which ZeoRangerV says works for their benefit. They do come with weapons. Psycho Red has the Psycho Sword and Psycho Blue has the Psycho Axe. We will make further updates if any more information, or pictures, become available! The Power Rangers Movie may have floundered at the box office and with it the hopes of a sequel possibly being dead in the water, but at least in the United Kingdom the Power Rangers brand is swimming strong. According to a new report from the NPD Group, the Power Rangers brand in the UK has seen sales increases of 122.8% for the year and, in April, 185.9% increase from April 2016 numbers. As of now there are no numbers for how the brand is performing in the United States, however with strong competition from other very popular brands here in the United States (such as Transformers, Marvel Legends, and Star Wars) it is likely that Power Rangers does not rank quite as high domestically. As always, when that information is released, we will report it. This information is from ToysNews-Online.biz. Other sites are neglecting to report the fact that these numbers are strictly for the UK, leading to a lot of celebration from fans and Power Rangers alumni alike. In the next few weeks, the MCM London Comic Con will be in full effect, and Bandai UK has continued their tradition of revealing and selling Legacy items early! Available before it’s release at this year’s MCM Comic Con, convention attendees can purchase the upcoming Legacy Communicator from the Bandai UK booth. In their advertisement we get our first look at the packaging for the item – a more upright box with all five Mighty Morphin Power Rangers shown, with the Legacy Communicator right in the middle. Pretty sharp looking! 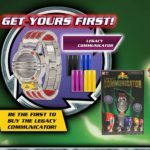 Are you planning to pick up the Legacy Communicator? Sound off in our discussion thread. See the original post on Bandai UK‘s Facebook page here – and special thanks to Morgan Lamia from Rangerboard for reporting it first! The wait is almost over – the Mighty Morphin Power Rangers Legacy Thunder Megazord is almost here! Easily the most anticipated item of 2016, the Legacy Thunder Megazord is set to hit retail in the coming weeks! Leading the front in early picture releases of Legacy items, the Bandai UK Facebook Page has shared some images of the box as well as our first official image of the actual toys connected together in the infamous battle sled formation! Check out all the images by clicking the title of the news story! Are you psyched for the Legacy Thunder Megazord? Join in the discussion! Bandai UK have announced a special treat for Power Rangers fans heading to the London MCM Comic Con at the end of the month – they will have the new Legacy Collection Blade Blaster available in limited quantities before anywhere else in the world! More details, including the price, will be announced later this week. If your heading down to the convention, which takes place on October 23rd-25th at the London Docklands ExCel Centre, you’ll be able to find Bandai at stand 1931. Following the same pattern for the Legacy Dragonzord, it was announced today that the Legacy Tigerzord and Legacy Saba items will be exclusive to the A1 Toys store in the United Kingdom. The good news? That these items are going to be available! The bad news? Well, our UK fans aren’t happy about the prices. Currently being listed at £89.99 for the Legacy Tigerzord, and a whopping £129.99 for the Legacy Saba. What are your thoughts? Sound off in our discussion thread linked to the article. 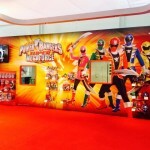 Today is Toy Fair day in the United Kingdom and Bandai UK are present with an impressive display of Power Rangers Super Megaforce merchandise and figures! While there doesn’t seem to be anything on display that isn’t already out in the wild in the US, Bandai UK are gearing up for the next installment in the Power Rangers franchise to hit the UK soon. 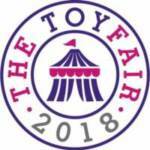 Look forward to Tokunation.com’s forthcoming coverage of the US Toy Fair in February, where we will be in full attendance! 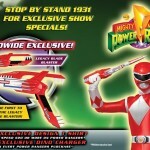 Thanks to the Bandai UK Facebook page, we have the first packaging images of the upcoming Mighty Morphin Power Rangers Legacy Dragon Dagger exclusive from Toys’R’Us! 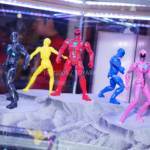 With the UK Toy Fair coming at us at the end of the month, Bandai UK has been teasing everyone with Power Rangers images, and this set here is the first “first-look” we’ve been given. 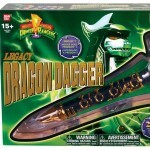 For those out of the loop – the Dragon Dagger was the weapon of the Mighty Morphin Green Ranger, who used it to summon the mighty Dragonzord! This is the year of the Green Ranger, as the Legacy Morpher Green & White Ranger Edition exclusive has just been released, with the Dragon Dagger and Dragonzord following in the next couple of months. Did you pre-order the Legacy Dragon Dagger? The item is schedule to release in February 2014 at Toys’R’Us. There was a pre-order for it at the Toys’R’Us website, but a matter of days after the pre-orders went up they were taken offline and have yet to return. Discuss the packaging with us and if you’re excited for this awesome toy!